You are here: Home / LifeTopix / Common Questions / Q. What is the App badge icon for? The App badge icon displays how many overdue items are in the App. From the Calendar card if you tap the “Overdue” tile you can see all the overdue items. 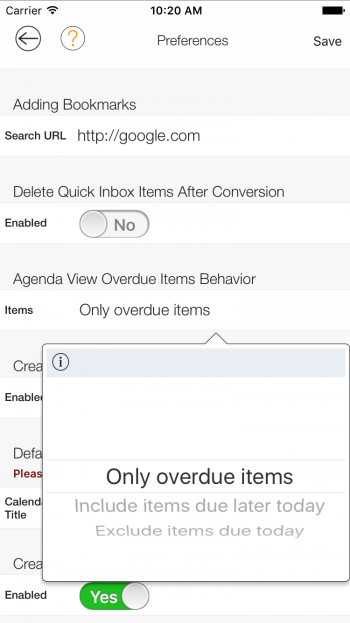 You can also configure the overdue items behavior. 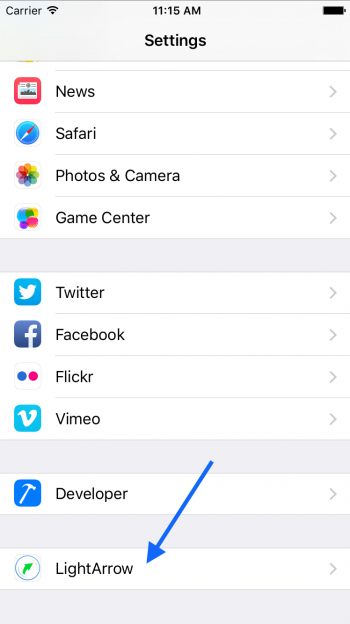 Scroll down until you see the “Settings” card, and then tap the “Preferences” button. 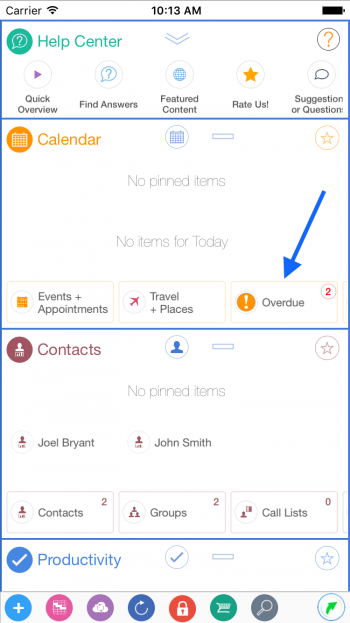 From the “Preferences” view scroll down until you see “Agenda View Overdue Items Behavior” and tap the field. 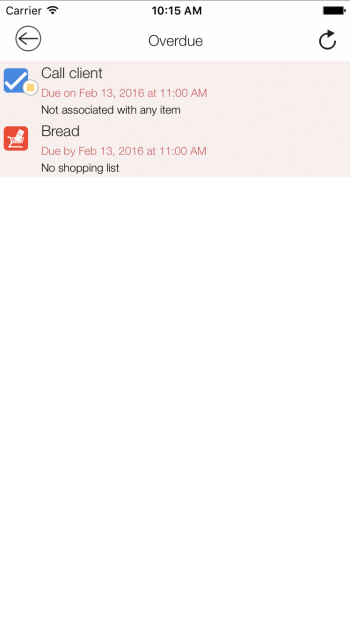 You can configure overdue items behavior to be “Only overdue items”, “Include items due later today”, or “Exclude items due today”. After changing the selection tap the “Save” button for it to take effect. 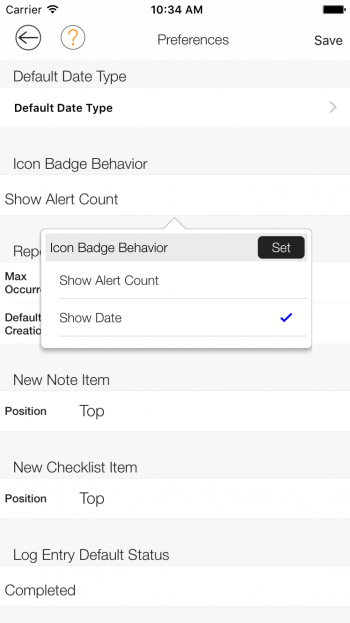 Also, you can configure the App badge icon to display the date instead of the number of overdue items. From the dashboard view scroll down until you see the “Settings” card. Then tap the “Preferences” button. From the “Preferences” view scroll down until you see the heading “Icon Badge Behavior”, and tap that field. Then select the “Show Date” and tap “Set”. Then tap the “Save” button. 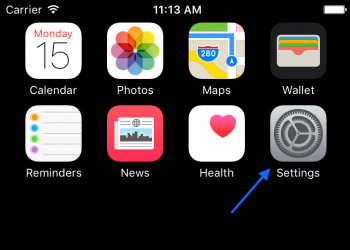 Then after you minimize the App you’ll see that current date for the App badge icon. The date is 02/15, so the App badge icon shows “15”. 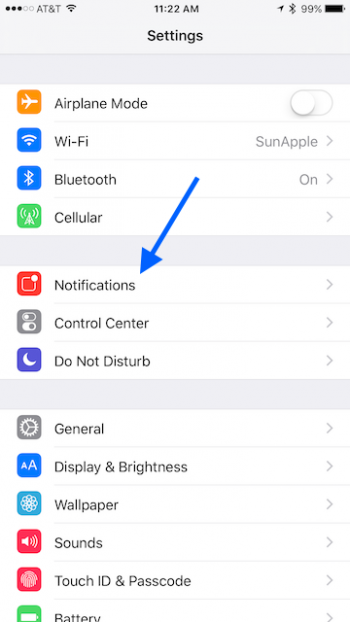 You can turn off the badge icon from the iOS Settings App. 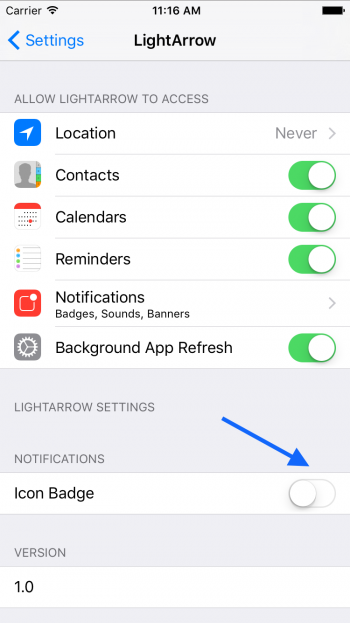 From the iOS Settings App scroll down until you see the LightArrow App and tap that row. Then for LightArrow view tap the Icon Badge button to turn it off. 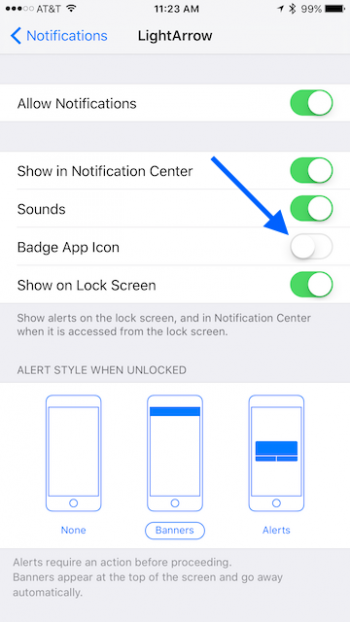 Another way you can turn the badge icon off in the iOS Settings App is by going to the “Notifications” view. 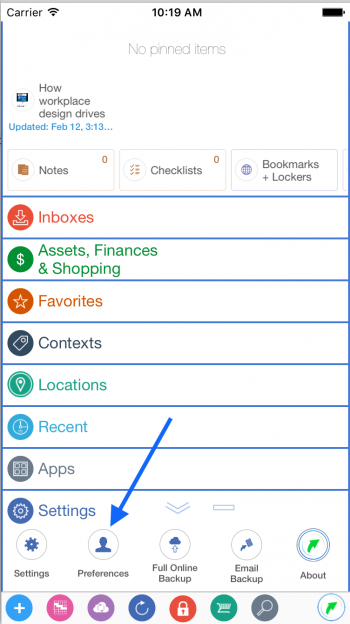 Then scroll down until you see the LightArrow App, and tap that row. Then turn off the “Badge App Icon”. 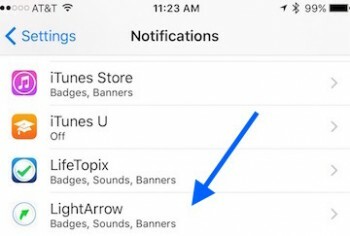 Then after you open and close the LightArrow App the icon badge is turned off.